Are you helping new arrivals or cultural groups thrive in Australia? Are you delivering services for elderly people or those who didn’t complete high school? 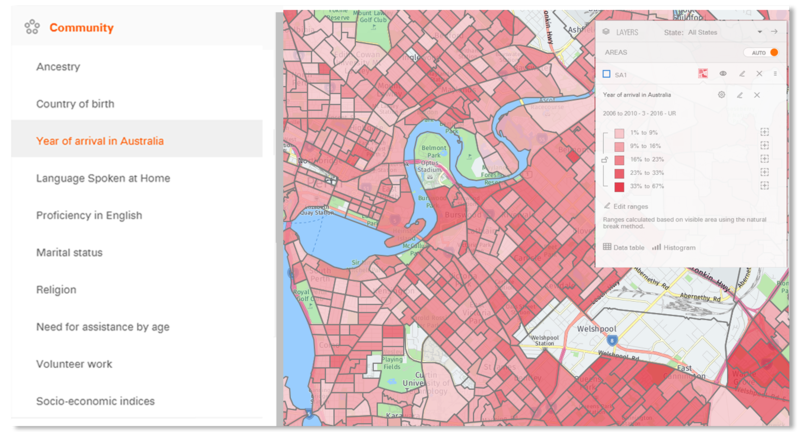 Census Explorer helps you target your services by pinpointing clusters of people who share similar characteristics. See areas with high concentrations of older people, ethnic groups, low English proficiency and over 30 other characteristics. The latest SEIFA figures, socio-economic indices and Need for Assistance data give you a clear picture of where support services are needed most in your community. These datasets are included in our standard subscription to Census Explorer. 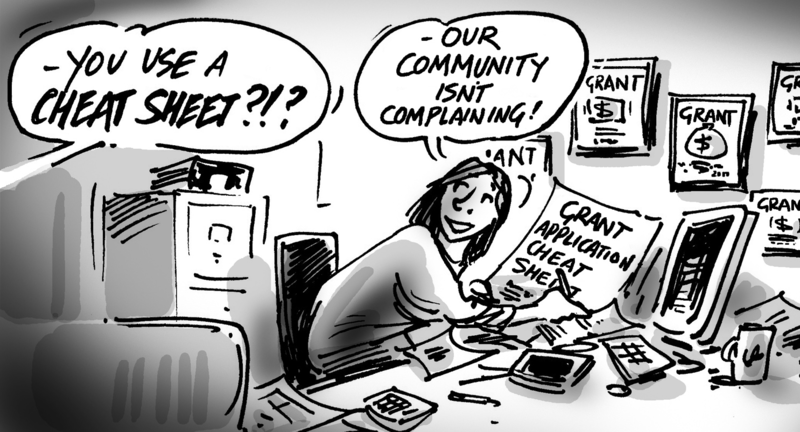 We know the work of community services groups doesn’t stop at service delivery. 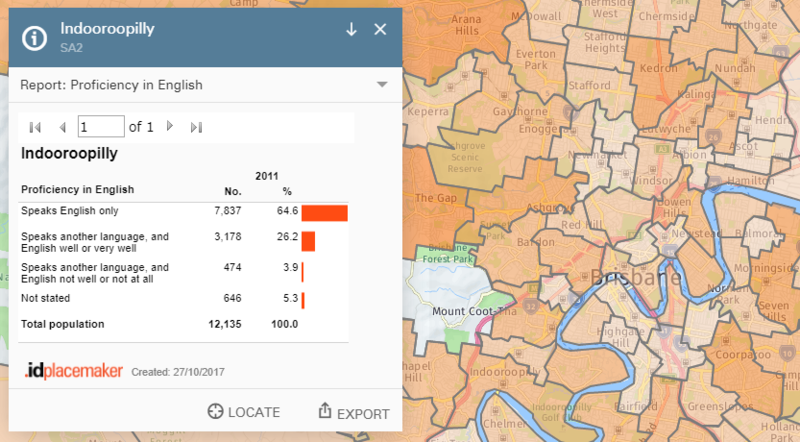 Census Explorer gives you up-to-date, local data in a format that lets you tell a powerful story to attract funding and drive awareness. Detailed demographic data. Visual, interactive and all in one place. From big picture trends to detailed local insights, it’s all there. Need more detail? Just zoom in. Built-in mini-reports give instant insights straight from the map and master reports provide the detail you need. Choose and refine the data you want, then export to Excel, Word or as a PDF report. Unrestricted reporting and exporting are included in our standard subscription. Census Explorer is created by .id – the population experts. With specialised expertise in demographics, population forecasting and urban economics, we have a huge library of free resources, including free eBooks, grant application guides and more, to share our expertise and help you tell the important stories about your community. 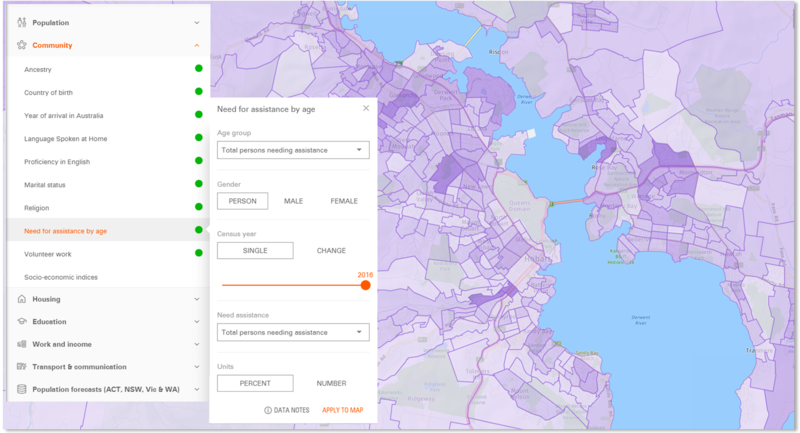 In just two minutes, this short video shows how Census Explorer presents Census data about housing, transport, employment and income, education and other characteristics of your community in an intuitive, easy-to-use mapping format. 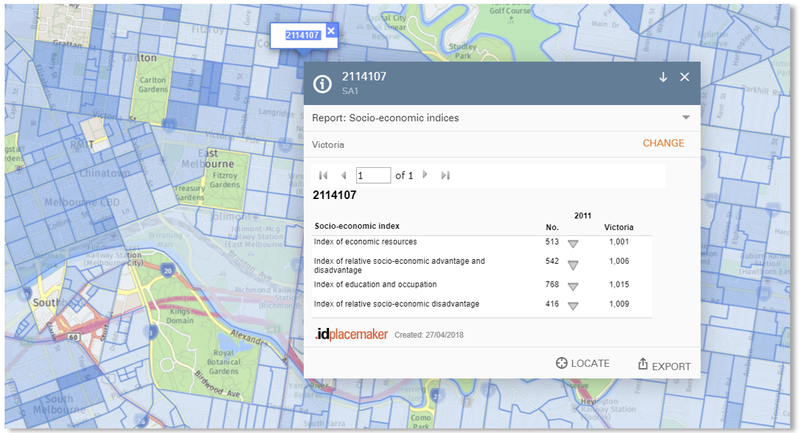 Placemaker Census Explorer lets you visualise and report on a wide array of topics about your community. The following datasets are included in the standard tier subscription to Placemaker Census Explorer. For more information about the detailed data subsets within each category below, please get in touch with us here. You’ve probably got a specific question you need answered. Get in touch with our team and tell us what you’re working on – they’ll be able to tell you whether Placemaker Census Explorer can get you closer to an answer.